More than 40 million Americans -- or roughly 15% of the population -- regularly listen to podcasts. That’s up from 9% in 2008, according to Edison Research. If you've ever thought about starting a podcast, whether it be for business or just for fun, there's no time like the present. However, as you’ve likely discovered, there’s a lot of information about podcasting on the web. And as you’ve also likely discovered, much of this information is outdated and confusing. 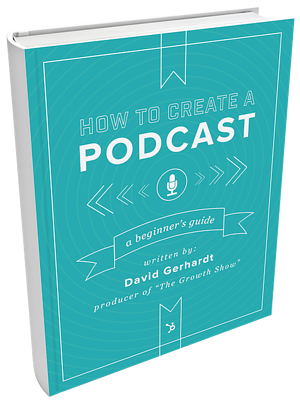 In this guide, How to Start a Podcast, you’ll find succinct, straight-forward instructions (and tips) for getting your podcast up and running from HubSpot's David Gerhardt, former producer of The Growth Show. You can download the free guide by filling out the form to the right.